Sen. John McCain lost his battle with brain cancer on Saturday. McCain’s legacy as a war hero and career politician lives on through his actions, books and philanthropic efforts. 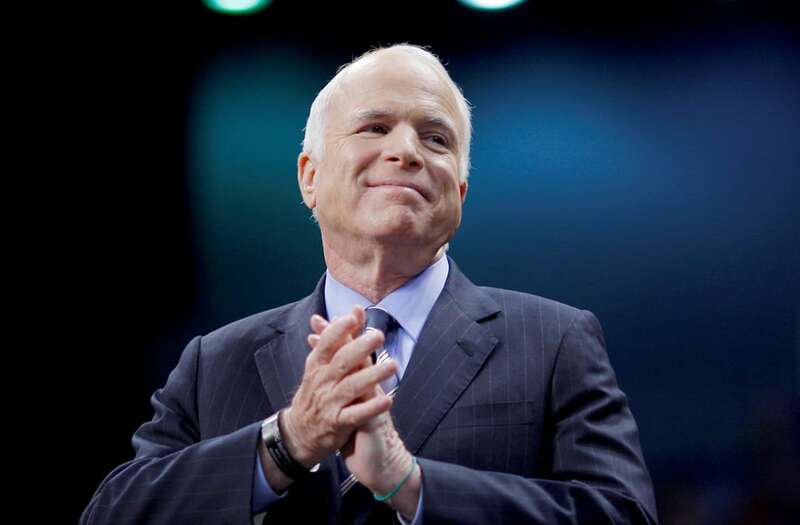 McCain has seven literary titles to his name and several have been best-sellers. The late Sen. John McCain garnered a reputation in American politics as a maverick and venerable statesman who consistently crossed party lines. Much ado has been made about the political legacy Sen. McCain leaves behind, but as much as his political and military service tout his list of achievements, his quiet philanthropic efforts and the words he leaves behind in seven books also contribute to how he will be remembered. The McCains quietly sit on a rumored fortune — over $300 million, according to Celebrity Net Worth. But behind their massive real estate collection, auto portfolio and private wealth, charitable giving is a cornerstone of the family’s financial habits. McCain collected $174,000 annually as a senator, but his charitable contributions far outweighed his salary. Nearly $9 million in unused donations from his 2008 presidential bid was transferred to charity. The family routinely donated to national nonprofits and local chapters. Proponents of literacy and learning, the majority of the family’s contributions were earmarked for education. The schools attended by McCain’s children were the prime beneficiaries over the years, in addition to the Arizona State University Foundation and the family’s McCain Institute Foundation. Born John Sidney McCain III on Aug. 29, 1936 at the Coco Solo Naval Air Station in the Panama Canal Zone, McCain was born into a family with a rich military history. After a decorated Naval career and enduring torturous conditions as a prisoner of war for five and half years during the Vietnam War, McCain continued his service to his country. His political career began in 1983 when he won a seat in the House of Representatives in Arizona. McCain’s political career included two terms in the House of Representatives, six terms in the Senate and two unsuccessful presidential bids, the first in 1999 and the second in 2008. He lost his battle with glioblastoma, a brain cancer, on Aug. 25, 2018, just days shy of his 82nd birthday. McCain is survived by his wife Cindy, seven children and five grandchildren.